Here at Amal Niccoli Salon, our entire focus is on your comfort, your convenience, and most importantly, your satisfaction. Taking the time to really listen to your needs is our top priority. We strive for an environment of comfort and familiarity where you can feel at home. 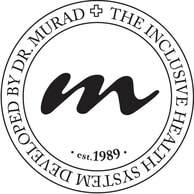 We are proud to offer Aveda and Murad, excellent high quality professional lines, to ensure that our clients have the best for color, hair care and skin care.